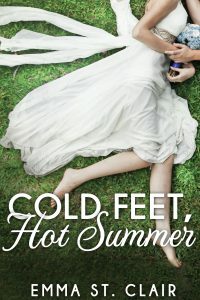 Check out my debut novel, Cold Feet, Hot Summer! Natalie is just weeks away from her wedding to longtime love, Seth. But when her brother is involved in a serious accident, it brings old flame Jeremy right into the middle of her life. Are the feelings Natalie has for Jeremy just part of cold feet? Or is she making a huge mistake walking down the aisle? Find out in this sweet romance novel!